Photography is getting so popular that even the universities have started dealing with it as a proper field and subject to teach the students. Every day when we wake up– we like to get ourselves a selfie to post it on the social media for a pictorial communication with our mates. Well, time is transforming and the day is not far when these cellphone cameras shall be replaced by the DSLR cameras but obviously not everybody can handle it. It is the game of professionals for which a proper skill has to be acquired at first. My today’s post is highlighting top 10 best stylish DSLR camera backpack you would love to buy in 2016. This bag is not only a sophisticated backpack, it has enough compartments to deal with ample of photography stuff inside it. The padded compartments are really helpful in keeping the camera lenses safer. It is easy to carry and of lightweight too. 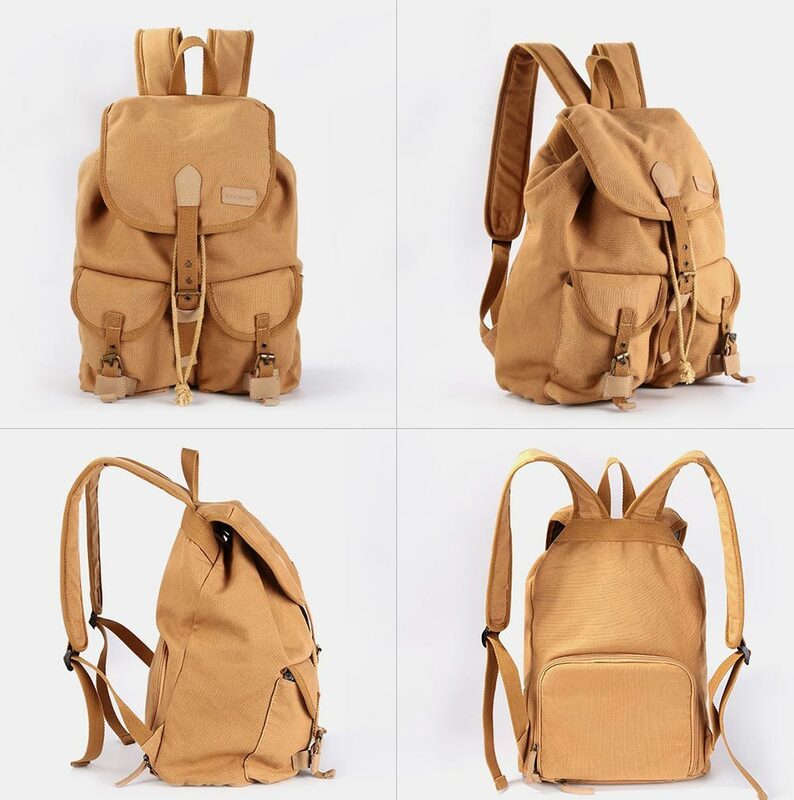 This backpack has compartments to give a smooth placements for camera lenses, it has metal buckles and also a hook closure with shoulder straps that make it easy to carry along. 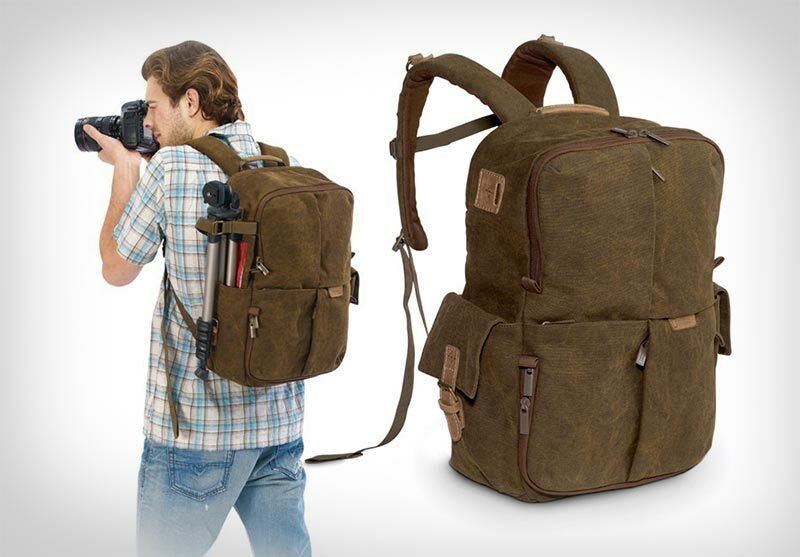 It is simpler yet elegant looking backpack that photographers would love to have with them. 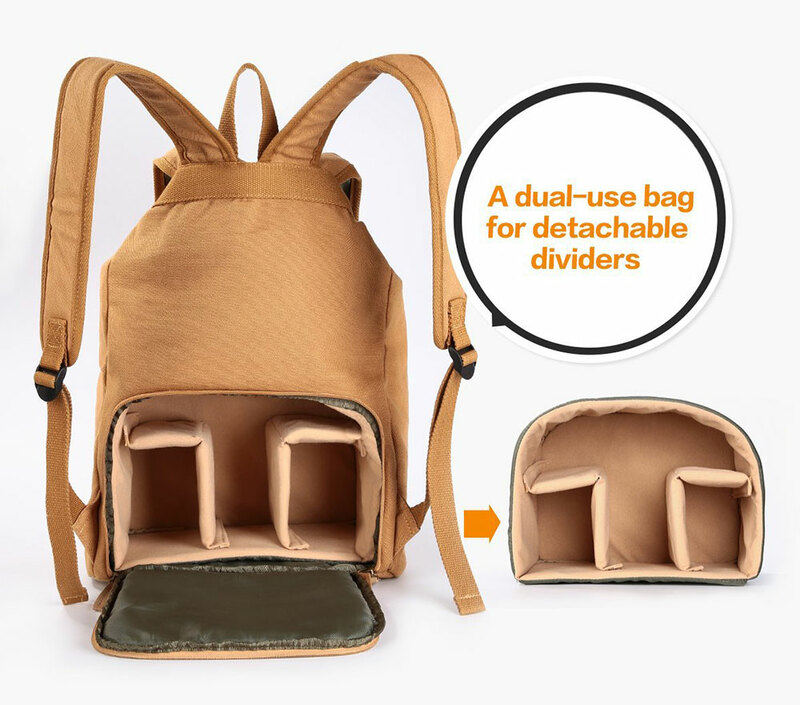 This backpack comes with a bonus because it provides you rain and dust cover along with it, which you may put away if not in use. There are also hydration-ready pocket that offers easy-access to a 1.5 liter hydration reservoir and makes the Sedona backpack faultless for hiking. You can also keep your smartphone, note book etc. in this bag because it can be used for multiple purposes other than keeping camera lenses or camera itself. 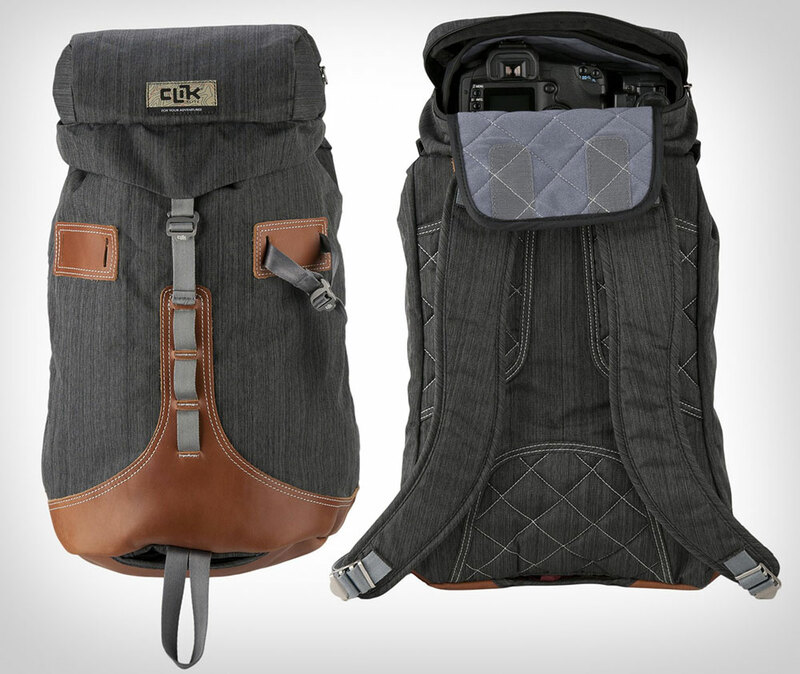 This backpack is another addition into the world of style and for the photographers it certainly offers a great deal of help. It has padded sections to keep the camera lenses protected. 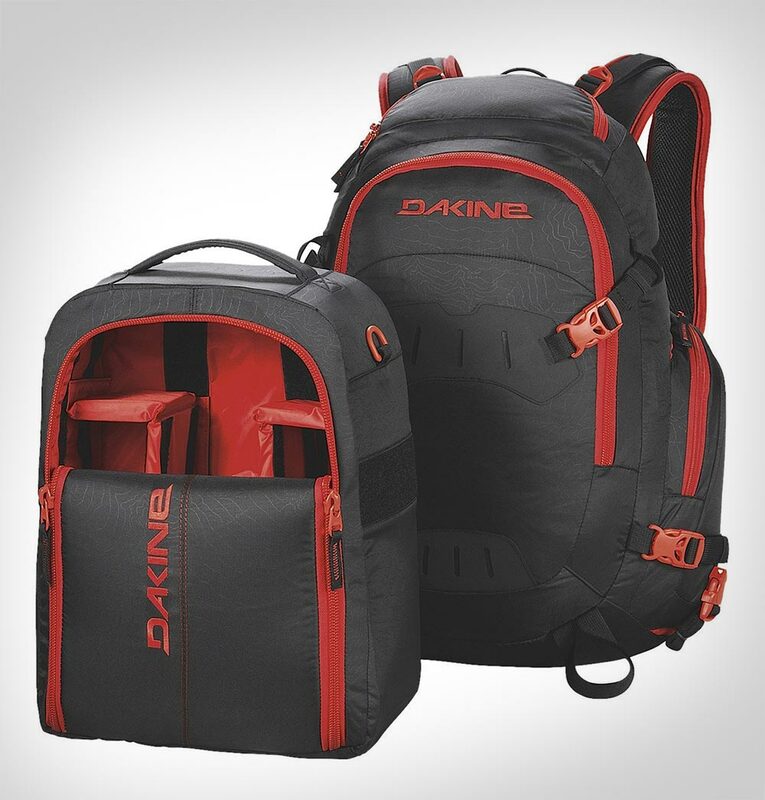 There are adjustable shoulder straps for comfort and makes it easy to carry if you are hiking. 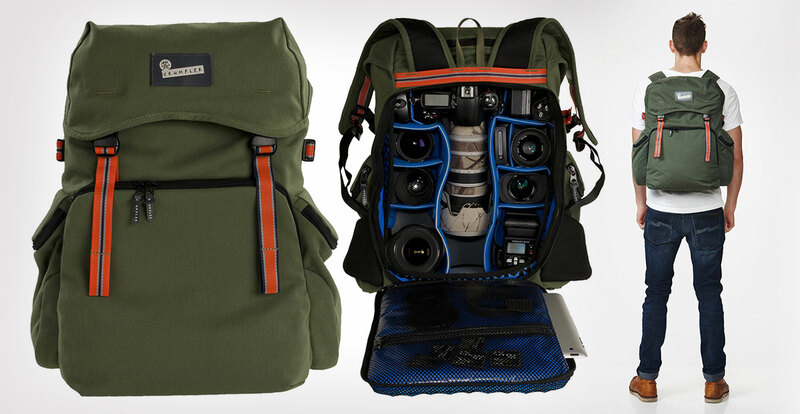 This is another beautiful backpack with a capacity of 1 camera, 2 lens; 1 camera + 1 lens + 1 flash. If you are all set to go for a tour you can also place your clothes in the top pocket, it also offers a bottom-down pocket that has a detachable inner. I personally loved this camera backpack that comes with zippered front pocket and it easily organizes accessories of the camera. It has a front layer, along with clips for hanging extra accessories. This is not a mainstream or stereotype camera bag, it is stunning in appearance, having good camera space and an easy to carry weight to put on the back! 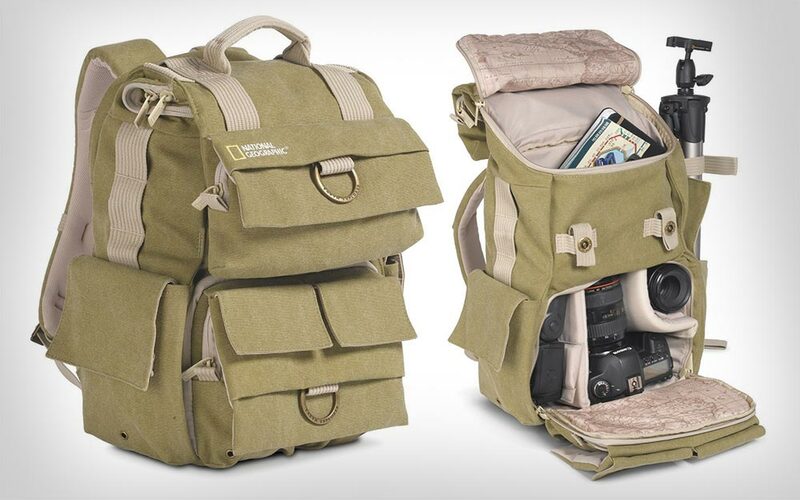 This backpack provides side compartments in its exterior to place tripod stand, it comes in medium section in the inner side of the bag to carefully hold camera and its lenses for a safer protection from dust or rain. Certainly a must have for those who do not like superfluous things because it is a simple looking bag that is elegant too. 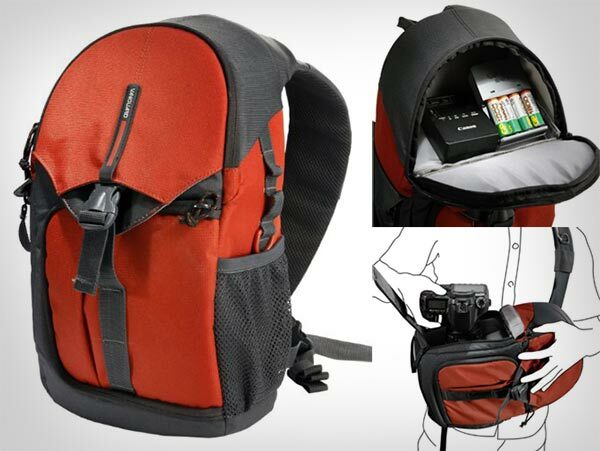 This marvelous backpack has an exterior side pocket to place tripod stand, with a detachable compartment that you can use as a smartphone case, it has different sections to get the lenses and DSLR placed securely. It also comes with rain and dust cover to protect it from weather influences outside. It is a 420D mini-ripstop nylon backpack with a volume of 2000 cu in dimensions: [pack] 21 x 11 x 8 in, [camera block] 16.5 x 12 x 6.5. 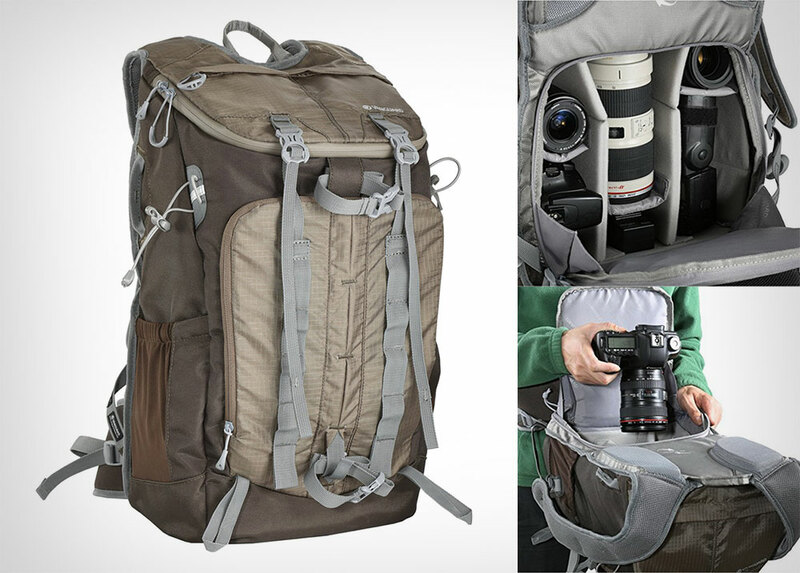 It looks amazing with a decent capacity to hold and keep DSLR, its accessories and its lenses. 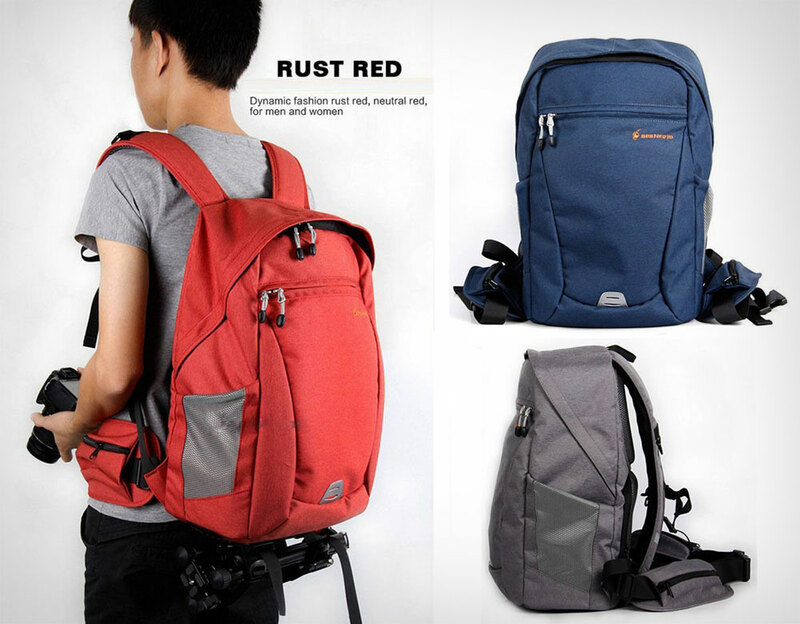 This shoulder bag comes in multiple colors that look stunning in their appearance so now you have a choice to choose from 3 options, this backpack is totally apt for outdoor sports and camping. So if you are looking up for something like this, must give it a go! I hope you now have a pretty clue that which backpack can be availed for hiking, sports and tours that not only are easy to carry but also look wonderful.